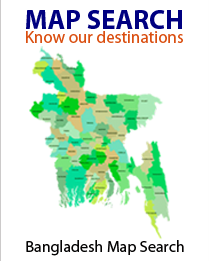 Day 01: Leave Dhaka by reserved car/coach/train/Air for Sylhet. The distance is around 341 km. Transfer to the Hotel. Day 02: After breakfast visit the Holy Shrine of Muslim Saints. 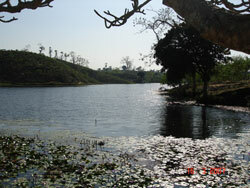 You will also visit the Tamabil and Jafflong - where there is a beautiful river flowing from India to Bangladesh. Watch the stone collection activities and have a look the life style of local khasia tribes. Overnight. Day 03: After breakfast start journey to visit Madhabkunda natural Waterfall. After Lunch start journey for Srimongal - the tea capital of Bangladesh. Overnight at Srimongal. Day 04: After Breakfast drive to Lawachara rain forest. Explore the forest and watching birds, visit the tribal villages. 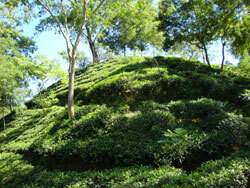 After lunch visit Lemon, Pineapple, Rubber and Tea gardens, enjoy tea plucking & processing factory. Overnight at Srimongal. Day 05: After Breakfast move to Dhaka by road. A 04 hours drive from Srimongal. 2) Items of personal nature and items not mentioned above.